Have you been breaking the law? 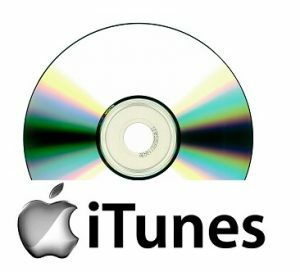 If you’ve ever bought a CD and then transferred it to iTunes so you can listen to it on your MP3 player or SmartPhone, the answer is ‘yes’. It may seem ridiculous that you’ve paid good money for music or an CD of an electronic book, only to find that you can only listen/look at these in their original CD format. You aren’t even supposed to move an ebook from one device to another; effectively this means that if you have it on your computer’s hard drive you need to buy it again to read on your tablet. Who is going to do that? So many of us have been breaking the law for years! However, soon you’ll be able to rest easy as the law will be changing on 1st June (2014) so you can copy anything you’ve bought for personal use between devices and systems. You can upload your CD of the Beach Boys Greatest Hits or The Best of The Spice Girls to iTunes and sing along happily knowing you’re a good law-abiding citizen! This doesn’t mean you can now copy all your music CDs and hand them out to friends and family. The Intellectual Property Office (IPO) says that, if the material changes hands, all personal copies must be deleted. So if you decide to give your XFactor compilation CD to your best mate, you can no longer sing along in the car on the way to work – you must remove all your copies too. This is all part of copyright reform and, interestingly, it also involves quotes. Currently, you cannot quote someone else’s published material without permission. From 1 June you’ll be able to use short quotations as long as they are considered fair and, of course, attributed. Just think – these almost unnoticed changes in the law – will make transform millions of law-breakers into good upright citizens, without them having to do a thing!